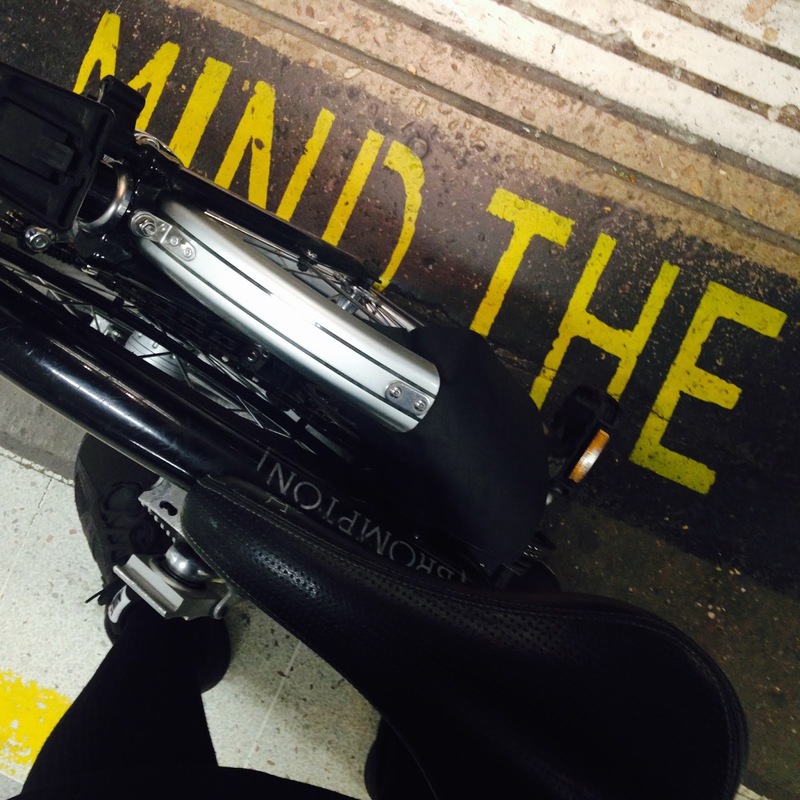 I have not been on the Brompton for months. Reason why? Mixture of reasons that I am still working out. I was tired, really tired and I was worried I would have an accident. I also think I lost some of my road confidence. But today's tube strike and the need to be in the centre of London forced me to get back on the bike. Discovered how much I had missed cycling in town and there were so many cyclists. Lots of brave souls took to the using the hire bikes. That was the good bit. Now the bad news. Discovered that my brakes had stopped working. They eventually seized. I went to the nearest bike shop which was Cycle Surgery in Holborn. But they couldn't see me because they were fully booked with repairs. They were kind enough to ring around to their other stores but they also couldn't see me. Then I remembered I was close to Brompton Junction in Covent Garden and I got them to look up the number for me and I called and they said come over. My Brompton was fixed in 10 minutes and I only had to pay for a new brake cable which was £10.50! I was given a cup of coffee while I waited and looked at bags. They have lost the cafe which was down stairs but they are now able to do servicing something they were unable to offer when they first opened and the website says this is £100. Glad to hear you got the brakes fixed. Glad to see you writing again. I really enjoy your blog Keep on riding. Keep on posting. Glad to see you back to riding as well.